We've found confirmation that Emma was a real person (check the details on her Subject page) and we'd guess that she was, at one time, a person of means, possibly the pub landlady. 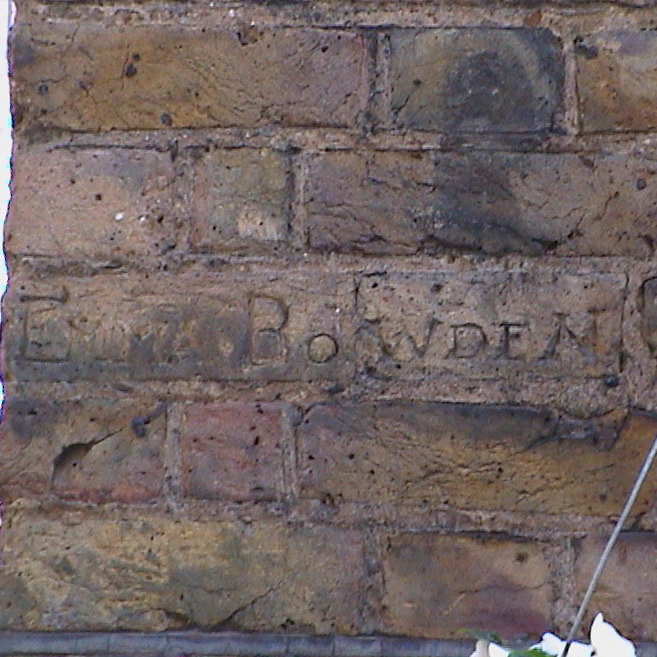 But we have no explanation for this neat inscription high up in the bricks opposite her pub, and we know of no other such memorial. A puzzle. Other similar brick graffiti at Caxton Street, Myddelton Passage, Dock Graffiti, Fenton House and German church.